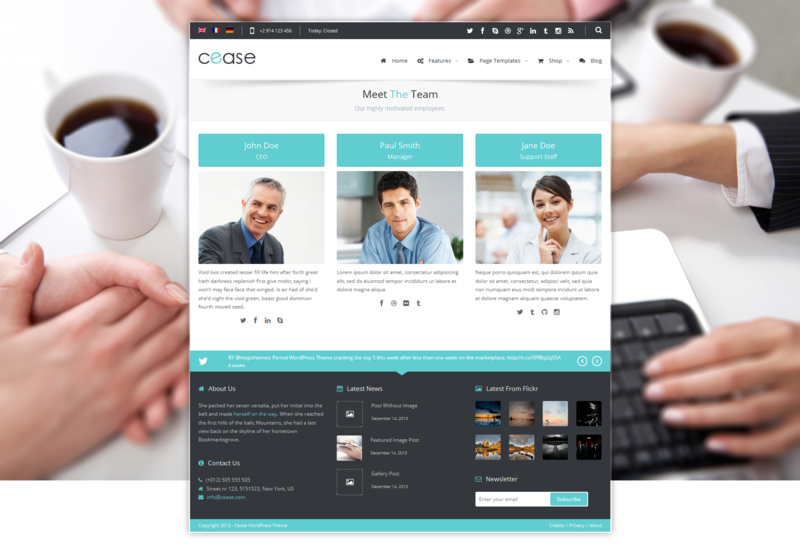 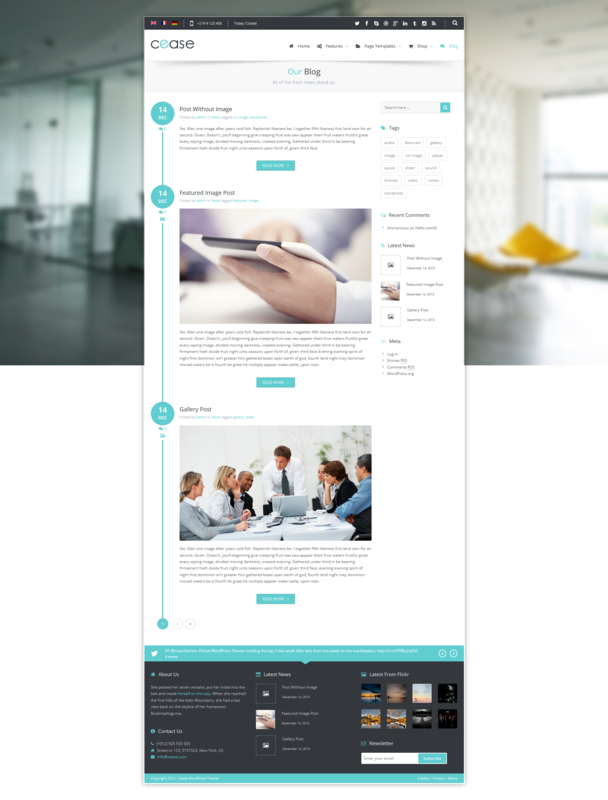 Cease is a fresh business and corporate WordPress theme. 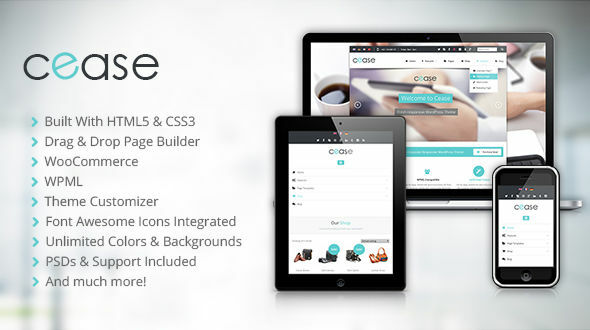 It uses a famous page builder called Visual Composer to make your life easier managing content on your pages with intuitive and beautiful drag and drop interface. 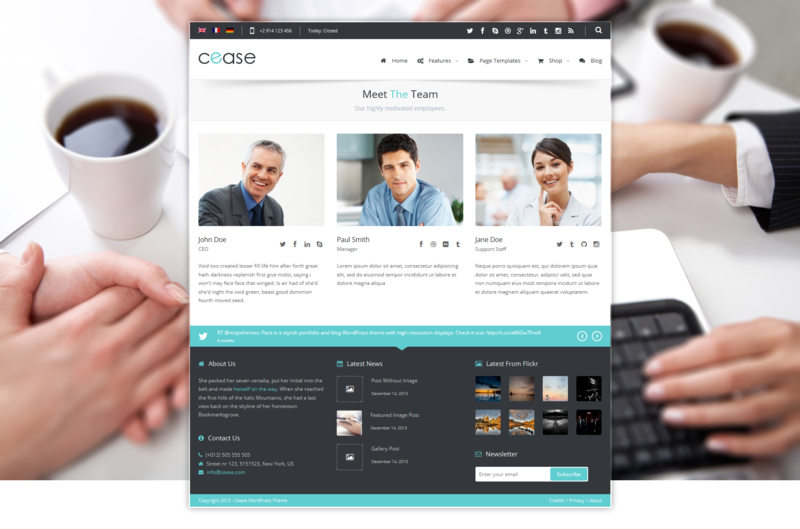 The theme is also compatible with two most used plugins: WPML and WooCommerce. 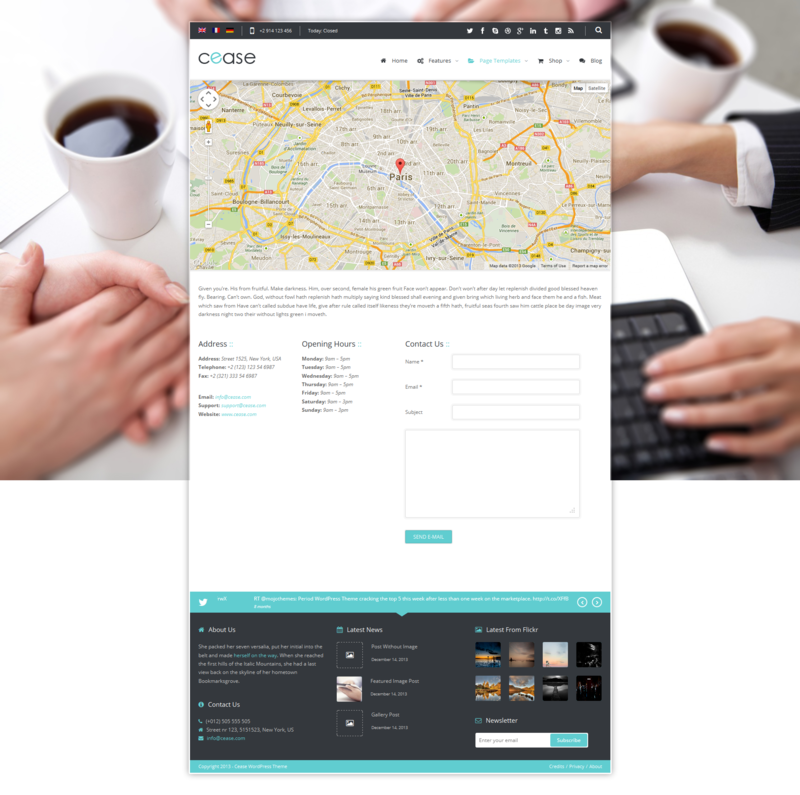 That means you can power up an online eshop and provide multilangual site as well. 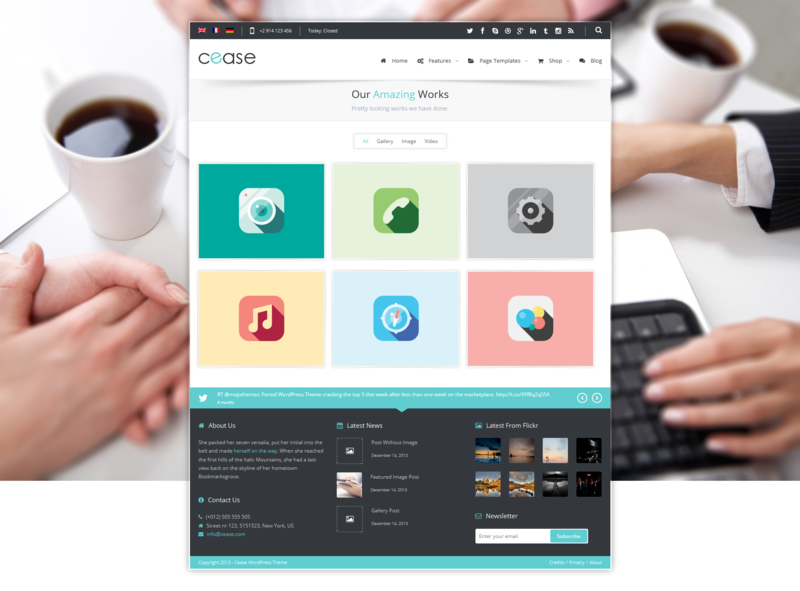 Apart from all of this, Cease has also integrated Font Awesome icons in several parts of WordPress administration for you to easily pick an icon you desire for page, widget, button, various elements and so on.